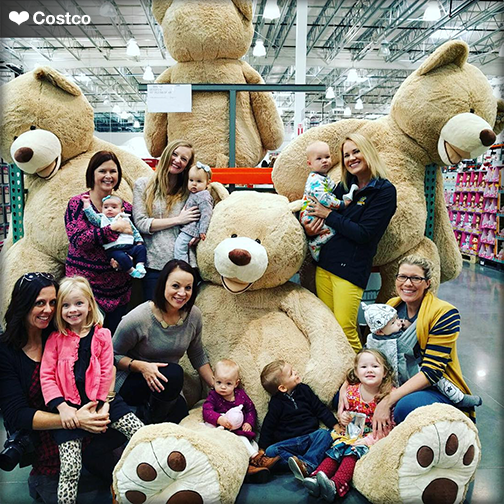 I was recently reading a local blog near me talking about the Costco Moms Hour and I immediately put it into my phone to make sure to go to! On November 4th at 9 AM, you can go to Costco (even if you are not a member) and have a free breakfast, try samples and participate in giveaways. It is not just for moms- anyone can go! Luckily, my local store is participating so I plan to go. We are members of Sam's Club and I am excited to check out Costco to see how we like it! The event happens before Costco is open to its members which is nice so the store won't be too crazy. They are having a special offer if you want to signup for a membership that day. You just have to RSVP (takes a minute) and shop with the City Moms Blog Network. Also, Costco sells Premier Protein drinks which my husband is a fan of for a boost of protein. He is not big on breakfast before work- he is a teacher who is rushing to meet students who need to make up tests or he has to setup a lab for that day, etc. Therefore, a protein drink can be beneficial for him because it is better than not eating! He swims on Monday mornings and is especially hungry then so these shakes can be helpful. 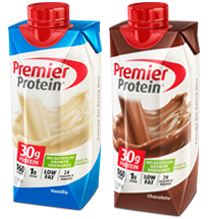 These Premier Protein shakes come in chocolate and vanilla flavors at Costco and are hormone free. The drinks come in a pack of 18. They each are 160 calories and have 30 grams of protein. They have 1 gram of sugar and are low-fat. They are rich in calcium and other vitamins and minerals. Premier Protein shared with me a fun Chocolate Berry Shake recipe. Easy as that! Hope you can attend the event in your area too!